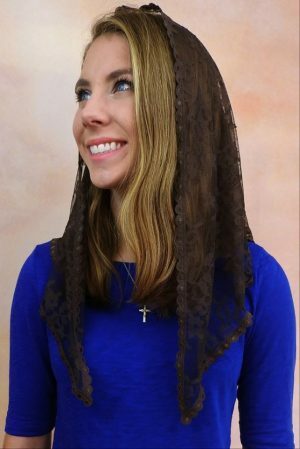 Veils by Lily – This mantilla features soft, lightweight Chantilly lace that drapes beautifully and an elegant narrow trim with no apparent seam. 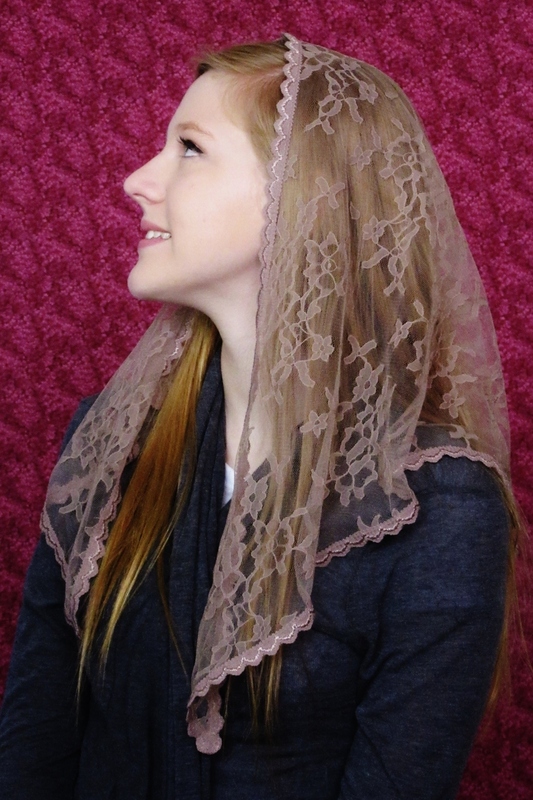  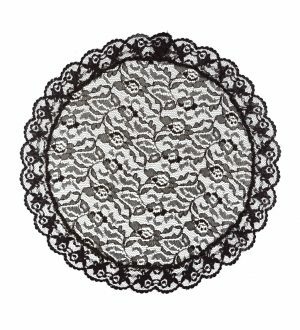 The soft Chantilly lace drapes beautifully and the back of the veil is nicely rounded. 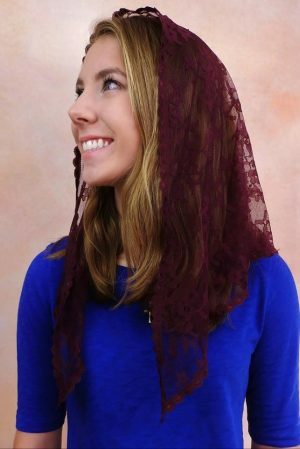 Approximately 44″ across by 18″ front to back.